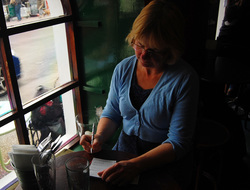 Tracey is the author of four novels and is also a poet. She has performed at Hull’s Freedom Festival and in many local open mic settings. She won an Apples and Snakes commission for Deranged Poetesses: ‘Maidens’ at Arc Stockton in March 2018. As a Visual Artist, Tracey’s narrative work utilises digital photography and moving image as a starting point. Drawings, mixed media paintings and delicate 3D work made from materials such as tissue paper and muslin, (and now the Apple Pencil) are inspired by the emotions of her own experiences and perceptions. She has a Fine Art MA (University of Lincoln) and a BA Hons Visual Studies (Humberside Polytechnic) She has exhibited throughout the UK (as Tracey Scott) and initiated several independent artist led projects with diverse groups of people within the community, schools and residential homes. "I just couldn't put it down - stayed up half the night reading it!" "I love the characters and the way Tracey brings them to life. It’s wonderful and I can see Sea Babies sailing off the shelves." With some editing and a beautiful new cover, this story of a naïve daughter, subsumed by her alcoholic mother's 'Great Grief' (and inspired by the painting There is no Night by Jack B. Yeats) will be republished by us in September 2018. "Tracey really is a wonderful writer, she somehow gets under your skin and draws you in, she most certainly drew me in. I really enjoyed this book. Never stick to your normal genre, get out there, try something different. You might just fall upon a gem like I have in ANOTHER REBECCA"
"The story of Rebecca and her mum Bex was at time sad and at times harrowing. The relationship between this mother and daughter are complicated and complex with role reversals weaving throughout the novel. Bex's "Great grief" is an underlying feature that impacts on the whole tale. All in all a story which keeps you engrossed and intrigued"
"This is an incredibly well written book with enough emotional suspense to make you want to read it in one sitting!" 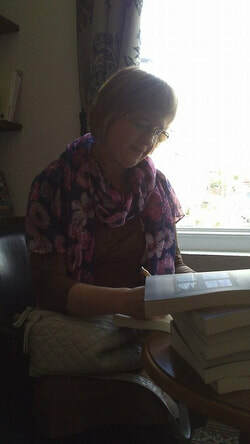 “Tracey Scott Townsend has such a depth of emotion behind her poetry it really touched me. Reading on, I felt exactly the same about the rest of the collection and by the time I got to Perfect Memorial I was in utter pieces. Indeed, reading So Fast I encountered a range of very profound emotions. You must have wanted to have them made me feel guilty and I was enraged by Ways not to treat Women. But oh my goodness, the sense of loss, of grief and love was almost too much to bear at times, especially in The Visit. I also loved the final, uplifting reassertion of identity in the last poem in the collection, Not Invisible. The quality of Tracey Scott-Townsend’s writing is magnificent. Able to convey the emotions I have referred to, she can also create such vivid images of nature that the reader can picture the shore, a whale, a tern with absolute clarity. She invents compound words that capture perfectly what she is describing and knows exactly when a rhyme or repetition will enhance her message and when to pare down her words to the bare minimum for the greatest effect. Water plays a large part in her writing and her poems reflect its fluidity and ever changing appearance. I thought this was such skilled writing. 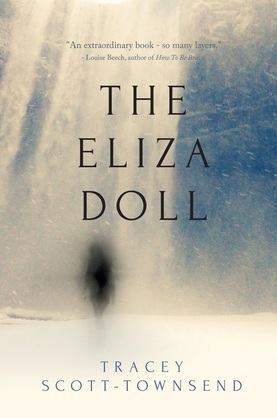 Tracey's novel "The Eliza Doll" tells the story of Ellie's struggle with her past. "In the midst of a series of family upheavals, Ellie shocks everybody by selling her home and deciding to live in a converted van. She will travel the country selling her handmade dolls at craft fairs. Ellie has two companions: her Labrador, Jack, and the mysterious Eliza who turns up in the most unexpected places. Ellie can’t change the past. But is it really too late to rectify the bad thing she did when Eliza was a baby?" Tracey worked in the visual arts before turning to writing full-time in 2010. She is happiest on the road in the Bus-with-a-Woodstove or in the cosy domain of her shed. She is married to Phil and has four children, now nearly all grown up.